It's time for another Designer Crafts Connection blog hop. Every first Monday of the month will be the official hopping day, this wonderful group of designers will share with you great projects to help inspire you. The theme this month is Mother's Day, Father's Day or Graduation! I always make cards for my mom's birthday and mother's day but I realized I have never made a card for my dad. I know…I'm a bad daughter . So, this year I decided to mend my ways and make a card for my dad's birthday, which is in two weeks. This card is great for Father's day too, or even for your grandfather or husband. 4 different kinds of sanding paper. 1. 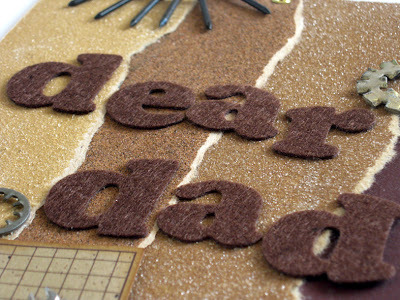 Cover the front of the card with torn pieces of sand paper. 2. Add your title. I used textured letters to add to the theme of my card. 3. Add nuts, bolts or cog wheels. 4. 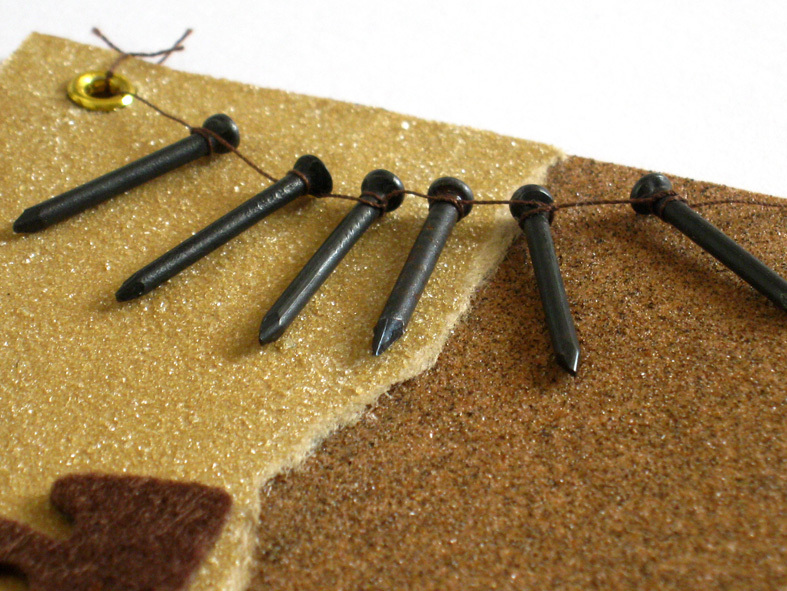 Tie nails to a thread and attach to the card with eyelets. 5. 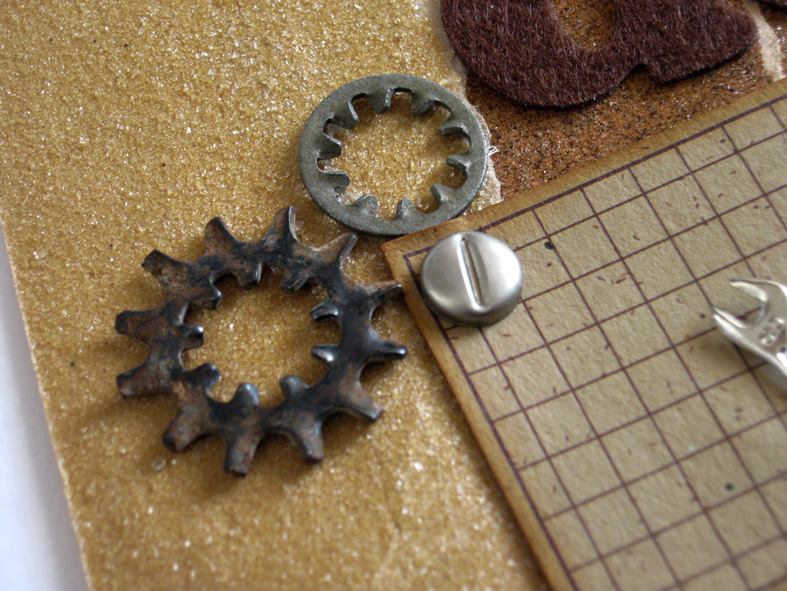 For finished touch add a journaling block or a tag embellished with special tool shaped brads. 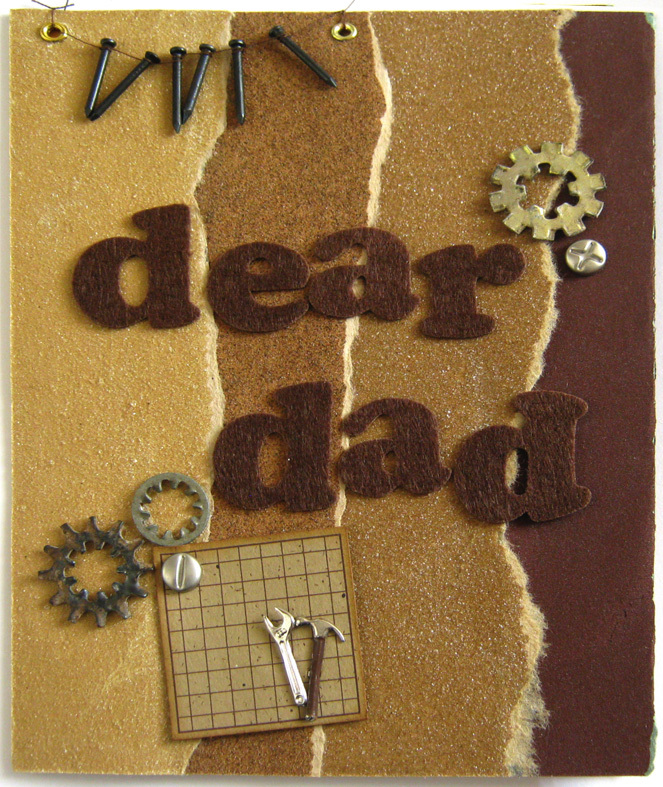 Make your dad happy with a special card! To continue hopping to the other 50+ professional designer's blogs for a lot of ideas and inspiration simply click on the Designer Craft Connection button on the right side of my blog. fantastic card! great use of elements. I love the use of different sandpapers. It creates such great texture and is perfect with the nails and such. Wonderful way to use mixed media! Maybe I will make my dad a card this year! הכרטיס מקסים, אבל בעיקר אני אוהבת תא הרעיון להשתמש במסמרים. פשוט - ונפלא! מקסים, מקסים ומאוד מעורר השראה! There you go with all that detail again. You put my cards to shame... mine are always so simple! When I try to add more detail... they turn out looking like a huge mess! lol! You did a great job on this card! TFS!